Work for IBM Analytics Engine? Learning about IBM Analytics Engine? "IBM BigInsights has creative ideas to support the population. " With this technological initiative it is necessary to maintain the business and commercial boom that can be developed through more solid systems and committed to citizenship. A platform tailored to the special conditions of those who use it. It has little assistance in the development and implementation of the tool to analyze and consolidate work schemes and billing management. On the one hand it is essential to maintain the focus and not lose it and the second is to improve the registration of personal information session. Ease of use and quick connection for small business transactions. It is essential to have this tool because it helps a lot in times that you need it most. We accelerated the sales process in the market with small investments that we had planned. Once this project was completed, we ended up with many transfers with this platform. "Very Usefull and Appropriate Software"
BigInsights causes your association to comprehend and dissect huge volumes of unstructured data as effectively as littler volumes of data. The adaptable stage is based on an Apache Hadoop open source system that keeps running in parallel on ordinarily accessible, ease equipment. You can without much of a stretch scale the stage to break down many terabytes, petabytes, or a greater amount of crude information that is gotten from different sources. As data develops, you add more equipment to help the deluge of information. This software is overall good for everything and I don't think there is any issue regarding IBM Biginsites. BigInsights gives abilities to get business esteem from unpredictable, unstructured data. BigInsights bolsters different situations that can enable diverse associations to develop by discovering esteem that is covered up in information and information connections. 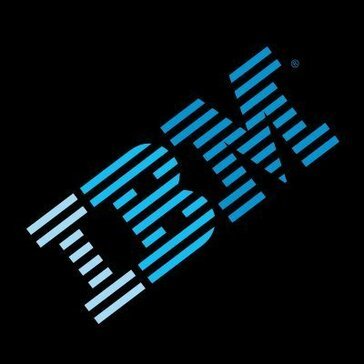 I find I trust IBM as a whole and am confident in their means to deliver. There are other companies that are faster and fresher, so to speak, that can outpace and outperform ones like IBM. IBM analytics helps to streamline tasks and makes for smoother completion, overall. * We monitor all IBM Analytics Engine reviews to prevent fraudulent reviews and keep review quality high. We do not post reviews by company employees or direct competitors. Validated reviews require the user to submit a screenshot of the product containing their user ID, in order to verify a user is an actual user of the product. Hi there! Are you looking to implement a solution like IBM Analytics Engine?